I love this sentence for teaching the objects. Kids love this sentence too; they think it's hilarious. Which it is, when you start asking the questions. John is baking Mom brownies. Are you giggling yet? Let's start asking the questions. 1. Who's this sentence about? Who's doing the thing? 3. What's John baking? Wait! Is he baking Mom??? No, no! He's baking brownies! So the brownies are receiving the action of being baked? The brownies are getting baked? 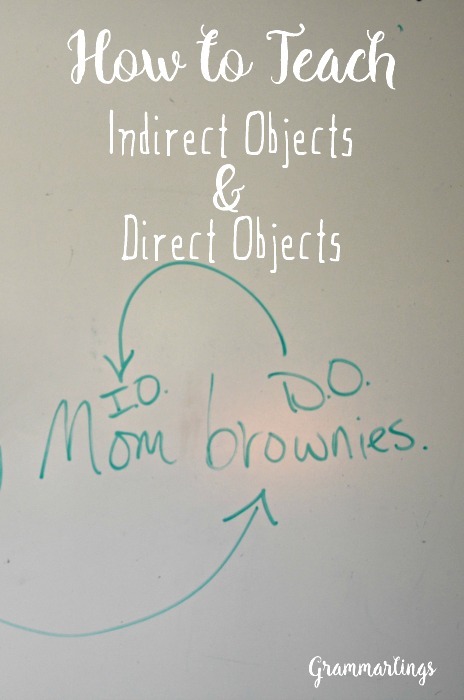 That means the brownies are the direct objects because they are receiving the action of the verb! Glad Mom isn't the direct object! 4. But what is Mom in this sentence? What's she doing? Ohhh, so Mom is receiving the brownies? Well that means Mom is the INdirect object because she receives the direct object. Direct objects receives the verb, and indirect objects receive the direct object. This sentence is perfect for teaching the objects. The brownies got baked, and Mom got the brownies. Thank goodness, because that was a close one for Mom! Thank you so much for the idea. 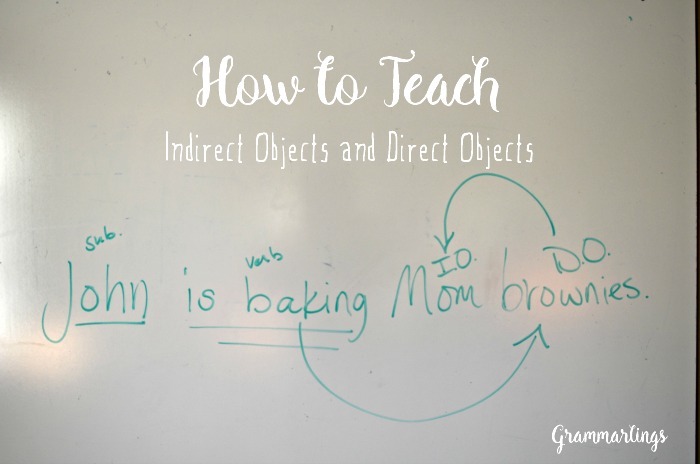 I have been looking for a good explanation for direct and indirect object. This is perfect!